Enzo Ferrari is reported to have called the Willys Jeep “the only true American sports car” – it was also one of very few things designed by a committee that turned out to be a success. 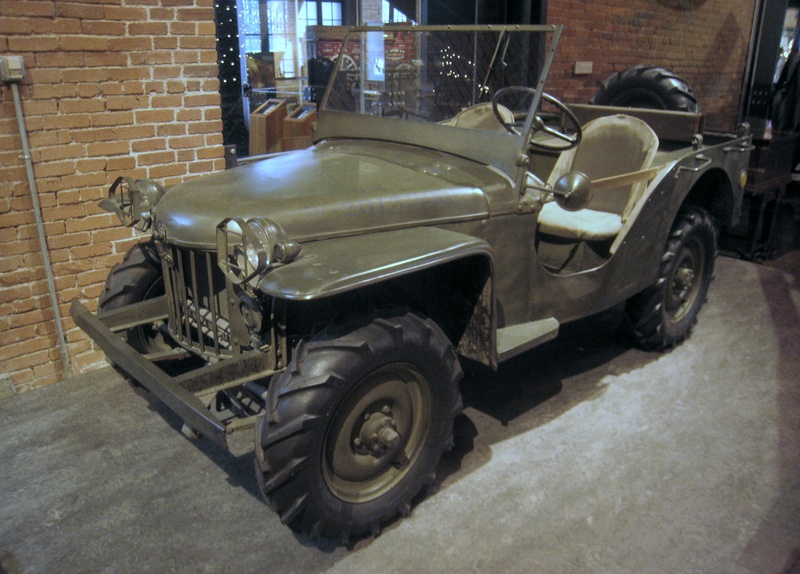 This true American sports car, designed by a committee, was the American icon of the Second World War, the humble Jeep. The beginning of thinking towards creating a small multi-purpose soldier and weapons carrier began in the United States in the years after the First World War. During that conflict motorcycles, both with sidecars and solo, had been used with good effect. So initial thinking was along those lines, as it was for the German military also. The Ford Model T was considered but the design was already becoming dated. By 1935 however the United States military could see that it was going to need to gear up for a major war that would likely be on an even larger scale than the First World War. It would be a war in which mechanization would be a key strategic element. 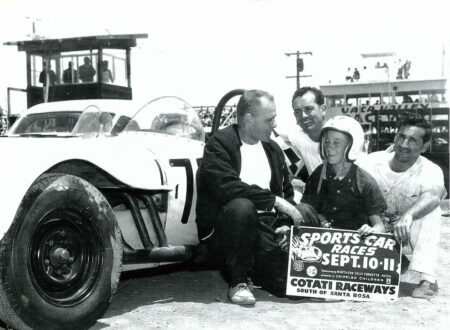 Among those thinking about this were Preston Tucker (of Tucker automobiles), and his friend Harry A. Miller. Tucker and Miller created a design for the Tucker Armored Combat Car during the 1930’s, which was an early type of armored car complete with gun turret, and Preston Tucker also did some work with American Bantam one a small four wheel drive reconnaissance car. The work on the Bantam Reconnaissance Car did not proceed at that point however, not least because of Bantam’s financial problems, but it would emerge a little later on. By 1935 Japan had already begun its operations to invade China, beginning with the invasion of Manchuria and establishment of Manchukuo in 1931. The Japanese believed their emperor to be a god, and by definition this, in their minds, gave them the right to rule all nations under the principle of “Hakkō ichiu”. Meanwhile in Europe Adolf Hitler’s Nazi Party had established absolute rule in Germany with a vision to establish authoritarian rule over all of Europe. The Nazis had supporters in the United States, and he was named Time Magazine’s Man of the Year in 1938. The writing was very much on the wall and Uncle Sam knew he needed to get his thinking cap on. Even with his thinking cap on Uncle Sam, in the form of the United States Department of War, took until the war in Europe was well underway. It was on 11th July 1940 that the Department of War finally formalized its specifications for a quarter ton small four wheel drive vehicle and sent those specifications to no less than 135 US manufacturers. The fact that there were 135 US manufacturers who the Department of War thought worthy of being sent such an ambitious proposal augured well for America’s industrial ability to engage in the war that was looming. This request was urgent however, so urgent that companies were given just 11 days to respond with a bid, 49 days in which to have a prototype ready, and 75 days in which to produce an initial run of 70 vehicles. Of the 135 just 2 submitted proposals, American Bantam and Willys Overland. The Army Ordnance Technical Committee specifications for this new vehicle was that it must be a four-wheel-drive capable of carrying a crew of three, have a wheelbase of 75″ and a track of no more than 47″. The empty weight of the vehicle was to be no more than 1,300lb and it had to be able to take a payload of 660lb. Its engine was to produce no less than 85lb/ft of torque, and the vehicle was to have a fold up windscreen, perhaps so that officers could drive it in rainstorms in reasonable comfort. 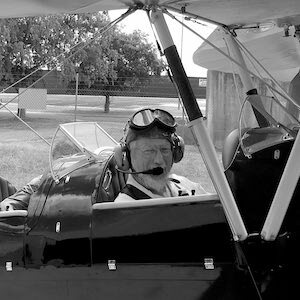 Bantam won the initial contract as the only company who would commit to meeting the Department of War’s deadlines, and so Bantam’s Chief Engineer, Harold Crist contacted a freelance engineer named Karl Probst to work on the project. Harold Crist had previously worked for two of America’s most prestigious automakers, Duesenberg and Stutz, and both Preston Tucker and Harry A. Miller had a strong background in motor racing, so we might well conclude that Enzo Ferrari was right about the Jeep’s sports car heritage. Karl Probst had been contacted by the Army, who had persuaded him to join the project, and no doubt impressed on him the urgency. He, in collaboration with Harold Crist and a team at Bantam, created the blueprints for the vehicle in just 2 days, and had the costings done by the third day. We can assume they burned the midnight oil quite liberally to achieve such a feat, but we also need to remember that Bantam already had a preliminary design that had been created in collaboration with Preston Tucker. Much of the design work had already been done, making it realistically possible for Harold Crist and Karl Probst to get a team working on going from preliminary design to working prototype in such a short time. The Bantam design was based almost entirely on existing Bantam parts, although it required a custom four wheel drive-train which was created by American gearbox maker Spicer. The engine used was a Continental 118 cu. in. (1.8 liter) 45hp four cylinder that produced 86lb/ft torque, just meeting the Army’s requirements in everything but vehicle weight: the Bantam tipped the scales at 1,840lb. Despite it being a tad overweight the little Bantam’s successor, the Bantam BRC 40, would later prove that it could capably tow an anti-tank gun. The prototype was built in a workshop in Butler, Pennsylvania, and driven to Camp Holabird, Maryland, where the army’s testing facility was located, arriving on September 23rd, 1940. The little vehicle was dubbed the “Blitz Buggy” (aka. “Old Number One”), no doubt in reference to The Blitz that the Nazi Luftwaffe was waging against Britain at that time. One would think that after such a Herculean effort that it would be Bourbon and cigars all around at Bantam but it was not to be. The Army knew that Bantam did not have the production capacity to meet the Army’s needs nor did they have the money behind them to accomplish such a feat. So the Army invited Willys and Ford to create prototypes and, as if to add insult to injury, they sent the Bantam Blitz Buggy’s blueprints to both companies after having them see the Bantam in action. The Army claimed to own the blueprints as they’d been created for their proposal, and Bantam were not in a position to do anything about it other than not breaking out the whisky and cigars. Ford and Willys got busy on creating their own prototypes and were given more leeway in that the weight limit for the new vehicle was raised to 2,160lb. Bantam also revised and improved their model which became the BRC 60, or Mark II, (BRC standing for Bantam Reconnaissance Car). 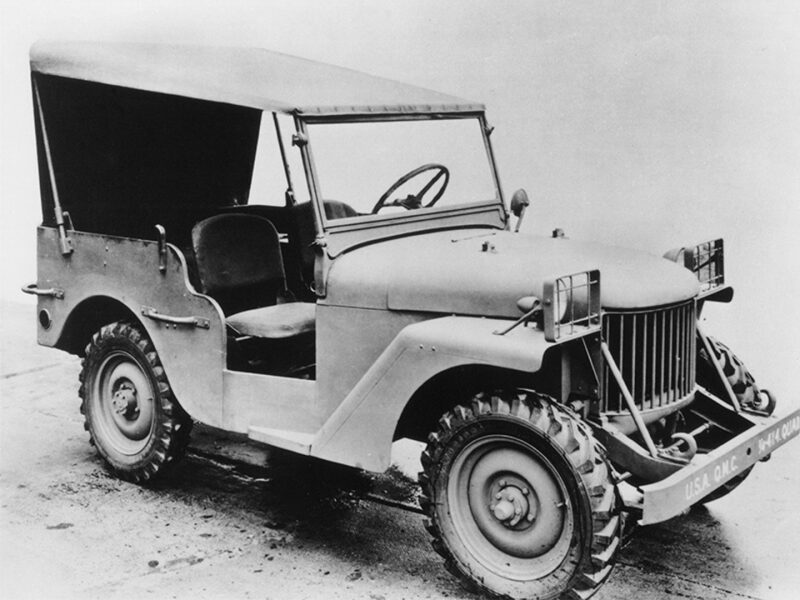 The Willys prototype was called the Quad, and the Ford the Pygmy. All three were tested in trials resulting in some changes. The Bantam revised model was called the BRC-40 and it turned out to be the lightest and arguably best performer having good suspension, brakes and fuel economy. However, Bantam could not meet the Army’s production requirement of 75 vehicles per day. 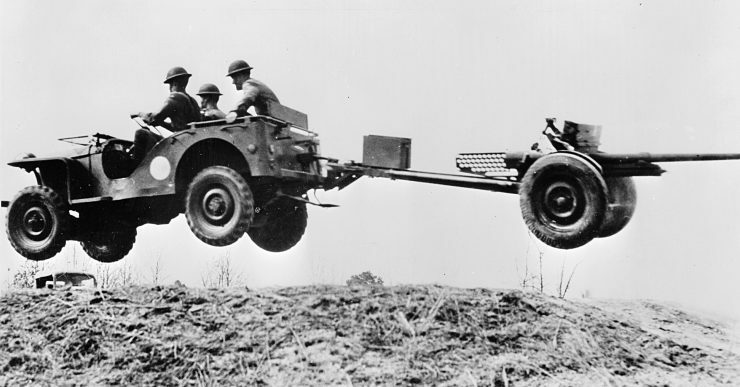 Thus it was that the Army also contracted Willys and Ford to produce their models as well. The Willys Quad was renamed the MA (i.e. Military model A) and it had 240lb pruned off its weight. The Ford was given the name “GP” (which is not the origin of the name “Jeep“), the G standing for “Government” and the P denoting the vehicle’s wheelbase of 80″ (the Army had allowed the wheelbase to be 80″ after deciding that the original specification of 75″ was too short). 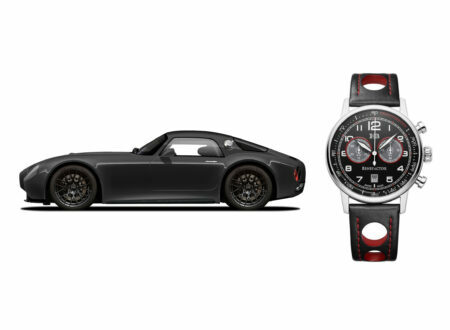 The early pre-production prototypes from all three manufacturers were not left to sit idle. The war had already caught up with supply and surpassed it. 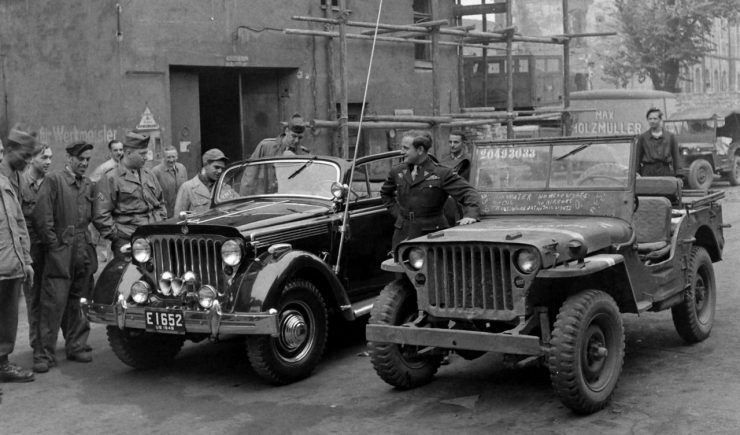 The first 1,555 Willys Jeep MAs were sent off to the Soviet Union under the Lend-Lease program, and 4,458 Ford GP vehicles were put to work in the US military. The Ford MA was a well liked vehicle but suffered from a weak and unreliable engine, the Ford Model N agricultural tractor engine. 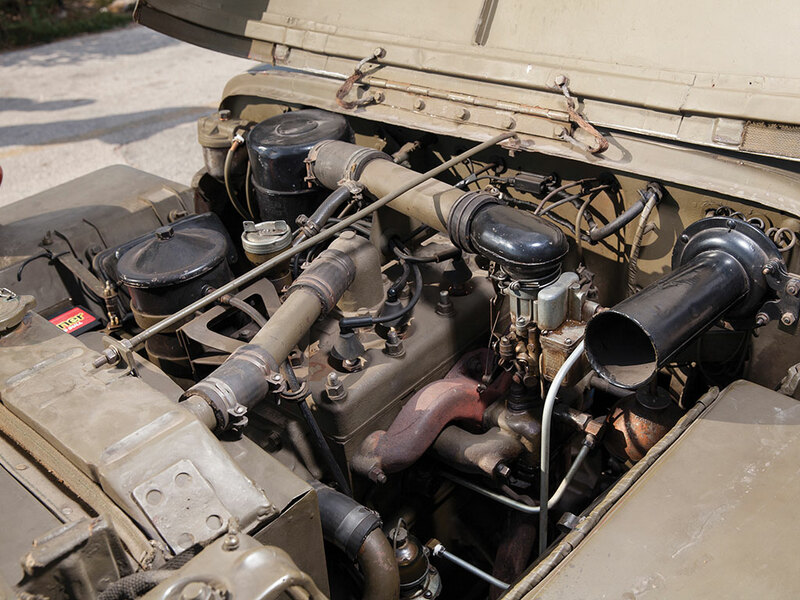 With the need to standardize on one design the Willys was chosen, in part because of its superior “Go Devil” engine, and Willys were contracted to produce 16,000 of the little vehicles. These were improved yet again incorporating best features from the Bantam and Ford, such as the Ford’s flat hood/bonnet, and were designated the Willys MB. Demand continued to outstrip supply and by October 1941 the War Department got Ford to start manufacturing the Willys MB using their mass production capability, using the standardized Willys MB design complete with the Willys “Go Devil” engine. These Ford built vehicles were designated the Ford GPW, the “W” meaning they were made according to the Willys Jeep design. 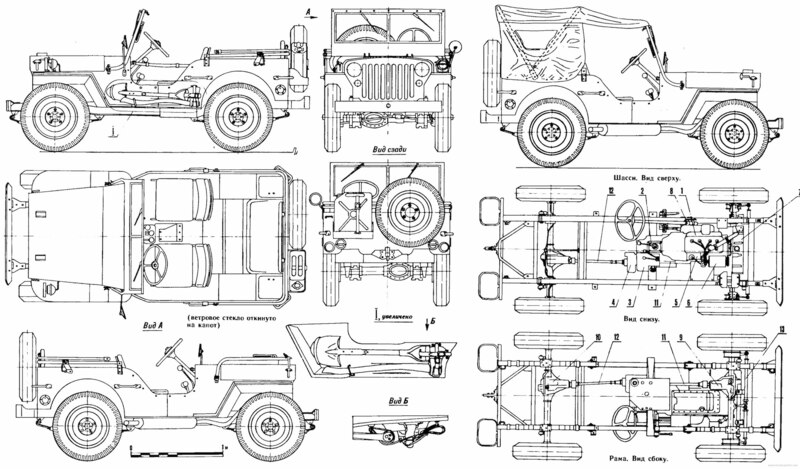 These standardized models featured full interchangeability of parts despite there being some manufacturing differences between the Willys and Ford made vehicles: examples include the Willys having a tubular front cross-member while the Ford was made with an inverted “U” one, and the front grill of the Willys started out being an iron welded slat unit whereas the Ford was a pressed steel one. Willys changed over to the lighter and more easily made Ford style during wartime production. Over the course of the war 363,000 Willys Jeeps and 280,000 Ford GPWs were built. American Bantam were also commissioned to build their nimble little BRC 40’s and they made 2,605, with most being sent to British and Commonwealth military forces such as those of Australia and New Zealand. The original Bantam “Jeep” design still had another major contribution to make however. When the Japanese Imperial Army invaded the Philippines they discovered a Bantam BRC 60 (Mark II) reconnaissance car and were so impressed with the design that they sent it to Japan so that Toyota could reverse engineer it. The vehicle Toyota created went on to become the Toyota Land Cruiser. With the Willys Jeep proving to be such an astounding success, fertile minds were busy thinking of more possible uses for it, sort of like the people who busy their minds finding more and more uses for WD40 or duct tape. By 1942 Pearl Harbor had happened and the Japanese had demonstrated a remarkable level of military coordination by attacking not only Pearl Harbour, but also Hong Kong, the Philippines, Malaya and Thailand all on the same day. The United States understood that the war with Japan was going to involve operations at sea and the islands of South-East and East Asia. The military was going to need amphibious vehicles of which the DUKW was a good example. 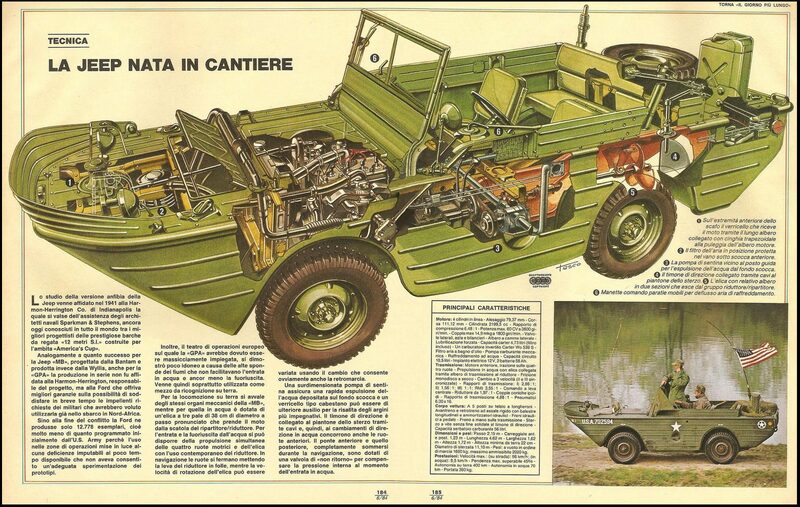 It was decided to make an amphibious Jeep, sort of like a smaller version of the DUKW. 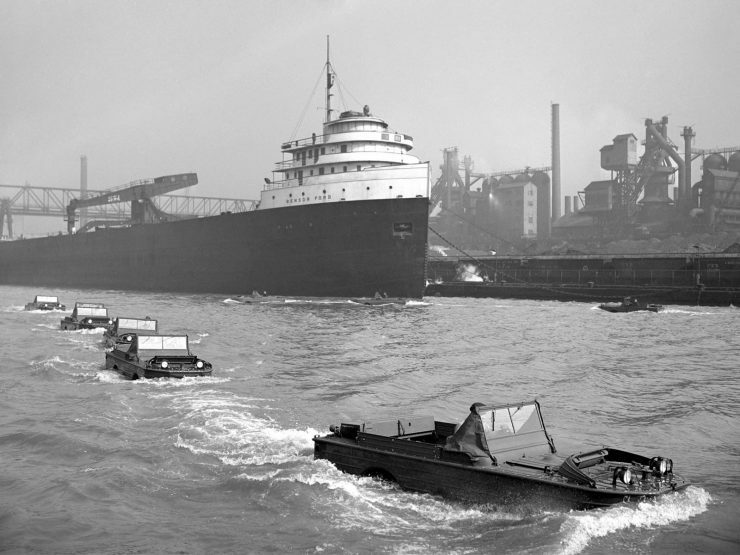 In collaboration with the US military Ford approached Roderick Stephens Jr. of Sparkman & Stephens Incorporated, who were yacht builders, with a view to using the standard Ford (Willys) parts to create an amphibious version of the Jeep: a “Sea Jeep” which would be called the “Seep”. 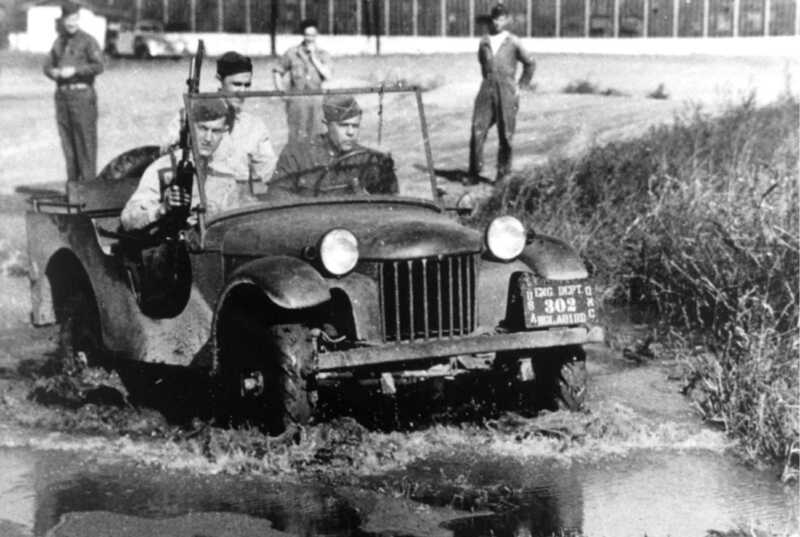 The amphibious Jeep was created, perhaps in too much of a hurry given the pressure of wartime needs, and put into production. The resulting vehicle turned out to be too heavy and this gave it a much lower than desirable free-board, with the result that it was not useful in anything other than calm waters. These amphibious Jeeps were withdrawn from US service and most were shipped to the Soviet Union where they proved to be very useful for crossing frozen lakes and rivers, situations in which the lack of free-board was not a big issue. If crossing a frozen lake or river in a normal vehicle, if the ice breaks, the vehicle sinks into the icy water and the crew either drown or die of hypothermia: neither of which is desirable. But if in a Ford GPA Seep if the vehicle breaks through the ice the occupants are kept safe from a cold and miserable fate, and will live to sip a Vodka or two again. The Soviets were so happy with their amphibious Jeeps that they created their own version, the GAZ-46. As a side note the Ford GPA had considerable potential as was demonstrated by Western Australian Ben Carlin who modified one, named it “Half Safe” and proceeded to take it on an around the world journey which took him five attempts and ten years. But he did it, and his modified Ford GPA can be seen if you are visiting down in Perth, Western Australia, in the foyer of Guildford Grammar School. Half Safe is a reminder that intelligent determination can help you to achieve things that other people think are impossible. It had earned its laurels, and would continue to do so in the Korean War, and in Vietnam. Returning soldiers, coming home to rural America also had developed a great respect for the diminutive little four wheel drive automobile. 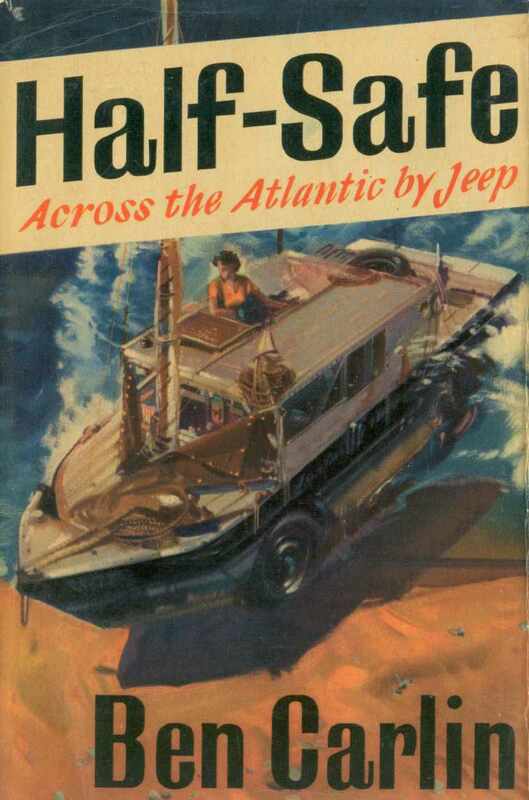 One even had a Willys Jeep fitted with custom luxury car coachwork in Europe: it made it into Life Magazine. Perhaps it should have been an inspiration for Willys? The Jeep had been such a success that Willys were determined to put the car into production for the civilian market they could see it would do well in. This was the world’s first four wheel drive production car and it would be attractive to farmers, mining companies, fishing enthusiasts and sporting hunters. Willys also had a marketing advantage that many companies would just about kill for: all over the world the US and Allied military either sold or gave away vast numbers of war surplus Willys Jeeps. The Willys Jeep was already poised to be the world’s number one four wheel drive. All that was needed was for Willys to position themselves to take advantage of those world markets with dealerships, parts supply, and workshops. 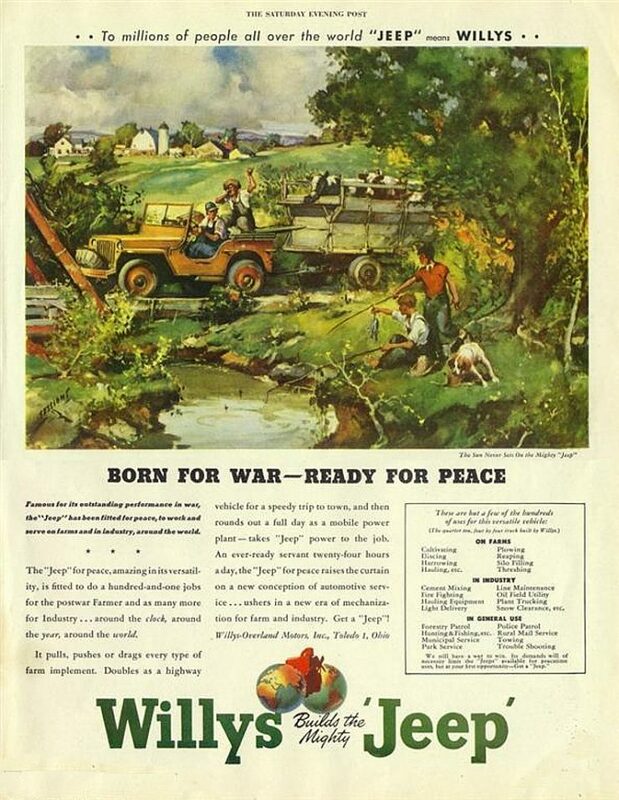 Willys had seen that coming and had filed to trademark the “Jeep” name in 1943. 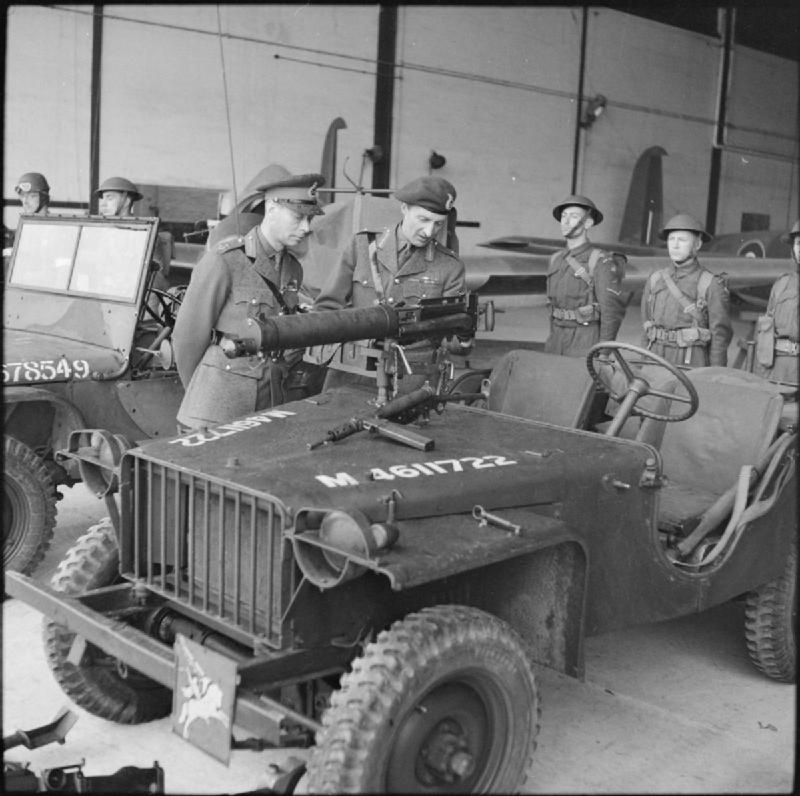 This quite rightly went to litigation: American Bantam were the ones who had actually created the “Jeep”, and then the US Department of War had supplied all the Bantam “Blitz Buggy” blueprints to Willys and Ford with the instructions to imitate and improve, which they duly did. So it was in 1948 that the Federal Trade Commission forbade Willys from claiming that they had created the Jeep: it had been created by Bantam with further input by Willys, Ford and Spicer. This didn’t alter things for long however as American Bantam went bankrupt in 1950, and Willys was then awarded the rights to the Jeep name that same year. None of these things had stood in way of Willys striking while the iron was hot and getting their civilian version of the Willys Jeep into production and out into the dealerships in 1945. Despite being quick into action the work on the vehicle that would take what could have been the Jeep’s markets in the British Commonwealth nations was quietly underway. Over in Britain at luxury car maker Rover, the Chief Engineer, Maurice Wilks, was at work on Britain’s four wheel drive “Jeep”. Maurice based his new “Land Rover” on the Jeep design, in fact he built his first prototype on a war surplus Jeep chassis, and by 1948 Rover showed their car at the Amsterdam motor show and orders for the Land Rover came in faster than the factory could make them. The British “Jeep” legend had just been born. Willys CJ series (CJ stands for Civilian Jeep) began with prototype models CJ1 and CJ2 “Agri-Jeep” before the CJ2A production model was settled on ready for 1945. Wisely Willys did not change the wartime Jeep design much. The CJ2A was equipped with a tailgate which necessitated mounting the spare tire on the side of the vehicle. The headlights were larger than the war Jeeps and flush mounted. The grill was made with seven slots, because Ford had created the wartime nine slot grill. Down under the bodywork was a new T90 transmission replacing the original T84 while the “Go Devil” engine was the same as used in the military Willys Jeeps. Keeping the CJ2A as much as possible the same as the wartime MB meant that Willys could happily use up its inventory of MB parts to make profitable new Civilian Jeeps. Advertising for the Willys Jeep CJ2A aimed at the likely agricultural and industrial uses of the Jeep and did not forget to mention the public utility roles and recreational uses for the little vehicle. 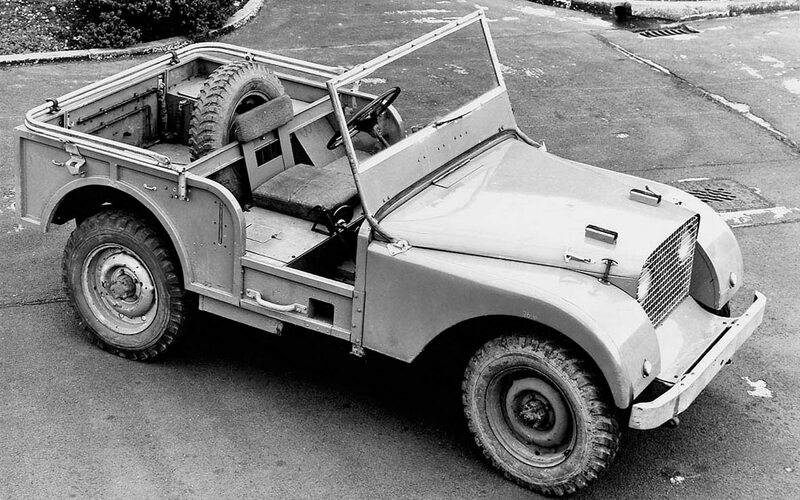 To make the Jeep even more useful Willys did exactly what Maurice Wilks did as he designed the Land Rover: the Willys Jeep was provided with an impressive list of optional extras such as front and rear power take-off, capstan winch, and dual vacuum windshield wipers. There were also options to harden up the Jeep by fitting drive shaft guards, radiator shield, and a hot climate radiator. The CJ3A was introduced in 1949 and was an incremental upgrade to the CJ2A. The driver leg room was increased by moving the front seat rearwards so that those tall enough for a future as a professional basketball player could drive one in comfort, this being accomplished by shortening the rear wheel well. Also to improve driver and passenger comfort the seat cushions were improved, and the canvas hood was given waterproof joins was well as being made higher for better head room. In 1953 the CJ3A was further improved with the fitting of the new Hurricane engine to become the CJ3B. The F-head Hurricane engine required the hood/bonnet to be made higher giving these vehicles a distinctly different appearance. Sales of the CJ3B to the public ended in 1964 although the vehicle remained in production for military and commercial fleet buyers until 1968. Willys continued to improve and develop the Jeep for military use and introduced the M38 (aka the MC) in 1950 with this model being made until 1952 when it was replaced by the M38A1(aka MD). The M38A1 introduced the rounded fenders that would be characteristic of the civilian CJ5 and was fitted with the Hurricane F-head engine. 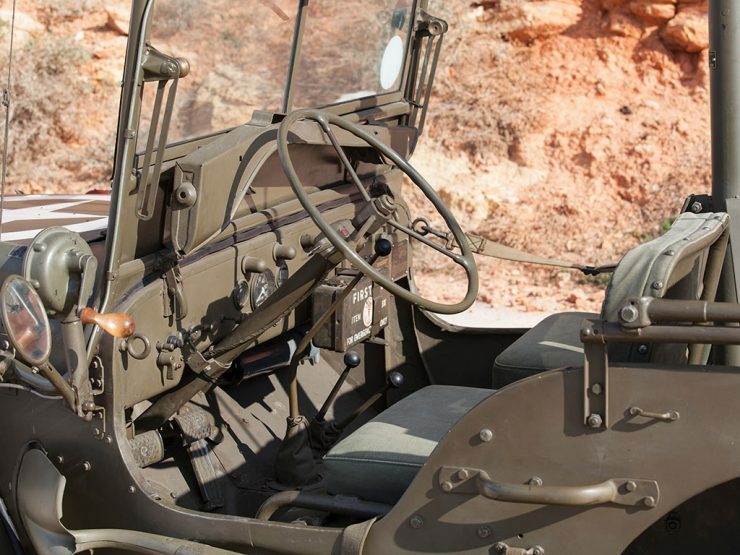 The military model Willys Jeeps were made with stronger chassis and suspension with reversed spring shackles, 24 volt electrical system, and military instrumentation. 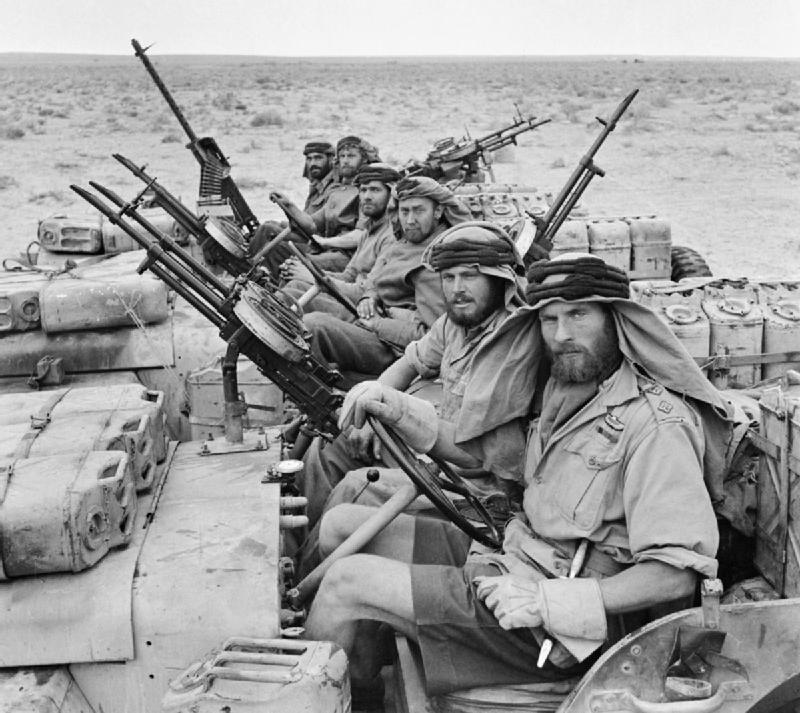 Just like their Second World War siblings they were often fitted out with a variety of special equipment, such as shovels and tools mounted on the vehicle’s side, and arms such as machine guns. The M38A1 was in production until 1971. 1955 saw Willys under new ownership, by Kaiser Industries. 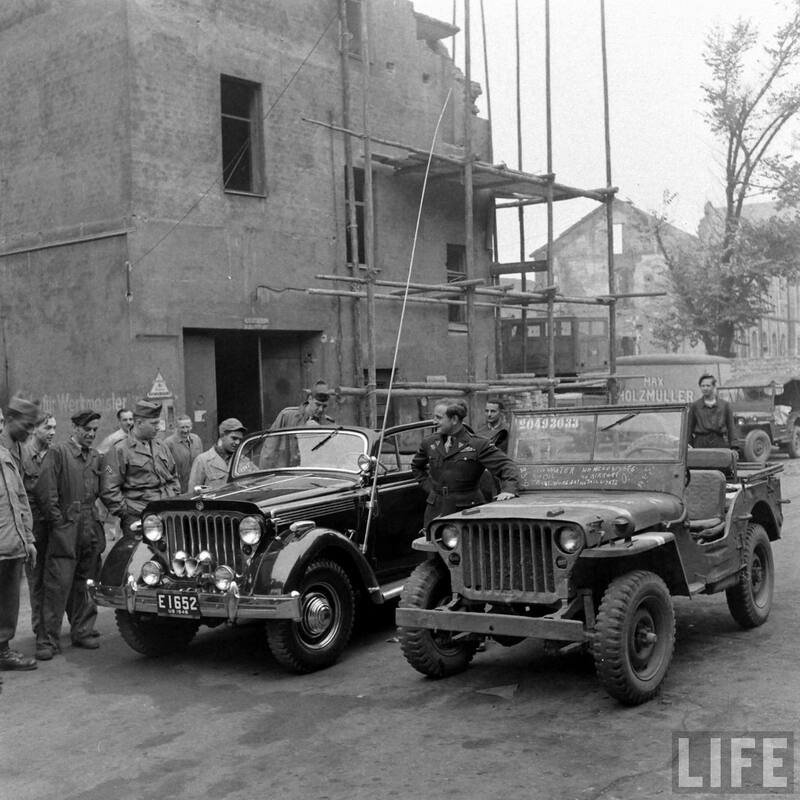 With this the Jeep was changed and modernized away from its familiar World War II appearance. The new CJ5 featured a rounded hood/bonnet and fenders with the bodywork being made of heavier gauge steel. The windscreen was taller and one-piece, and the front seats were form fitting bucket seats providing a good level of comfort. Also improving the comfort were the longer springs while the instrument panel was a deeper back lit unit, the handbrake being re-located underneath the instrument panel to the left of the driver. 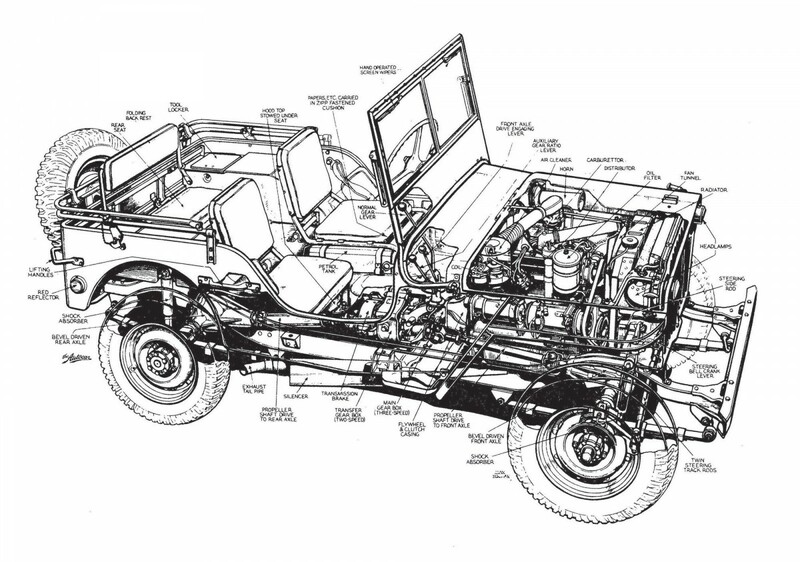 The CJ6 was made as a long wheelbase version having a wheelbase of 101″ from 1955-1971 and 103.5″ from 1972-1981, when the Jeep CJ had to be stretched to accommodate the new engines. In 1965 the model was offered with not only the four cylinder Hurricane engine but with a new 155 hp, 225 cu. in. (3.7 liter) V6 Dauntless engine which Kaiser Industries had purchased the rights to make from GM Buick. This engine proved to be very popular and three-quarters of all CJ5 and CJ6 models were sold with it during this period. The CJ5 and CJ6 were also offered with the option of a British 192 cu. in. (3.15 liter) four cylinder Perkins diesel engine. This “Four Pot Perky” produced 62 hp @ 3.000 rpm with 143lb/ft torque @ 1,350 rpm. This changed again in 1972 after Willys was purchased by AMC (American Motors Corporation) in 1970. AMC decided they no longer wanted to market the Jeep as a “workhorse” agricultural and industrial vehicle but instead as a sporty vehicle. In line with this they did away with the optional power take-off facilities and began to install even more powerful engines. 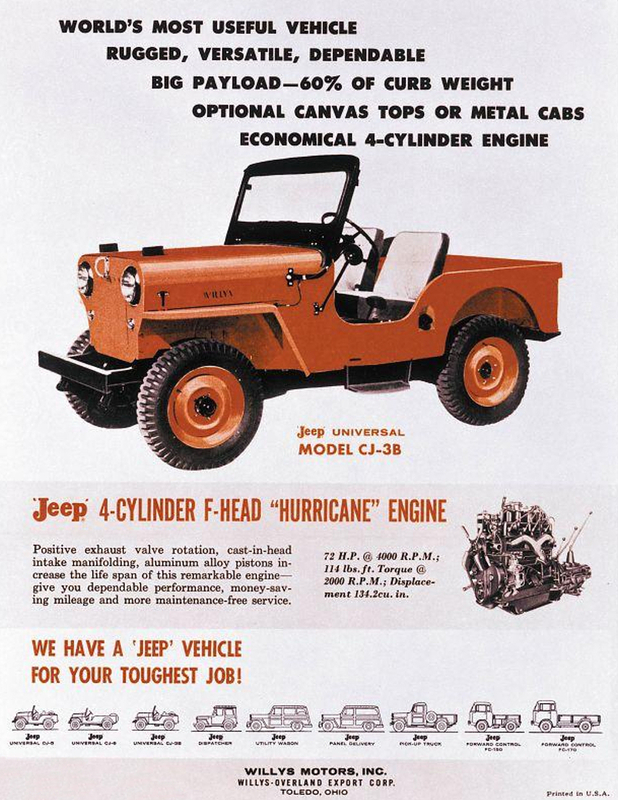 AMC decided they wanted the CJ5 and CJ6 powered by AMC engines and so the Jeeps were fitted with the AMC 232 cu. in. 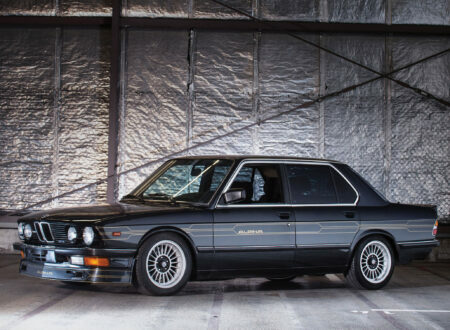 (3.8 liter), 248 cu. in. (4.2 liter) six cylinder engines, or the 304 cu. in. (5 liter) V8. In order to fit these much larger engines into the Jeep it needed to be stretched somewhat gaining three inches in wheelbase to 83″. Not only was the chassis stretched but it was also reinforced with a new box frame having six cross members. The fuel tank was also moved to the rear of the vehicle and increased in size to ensure the more powerful, and therefore more thirsty engines, still had enough fuel to give the car a decent range. 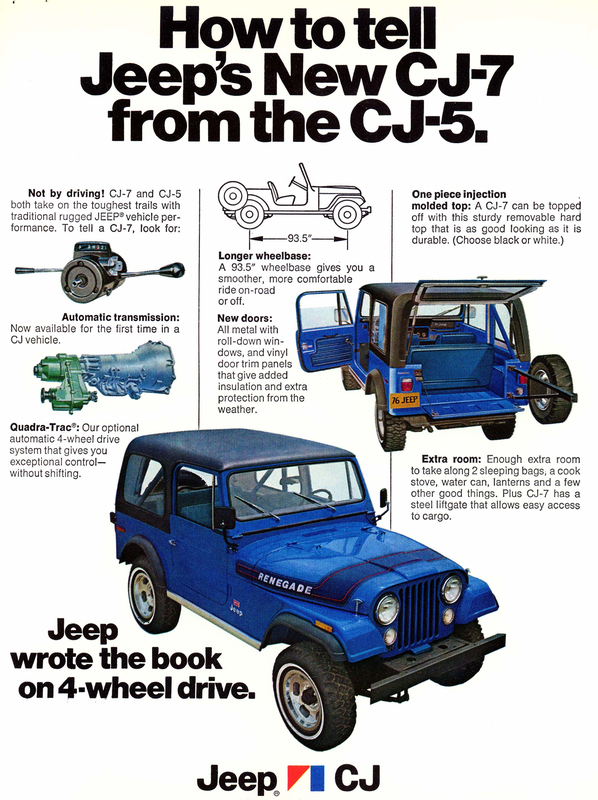 In 1976 the CJ5 was fitted with a Borg-Warner Quadra-Trac full time four wheel drive transmission. This system featured high and low range and a lockable limited slip center differential. 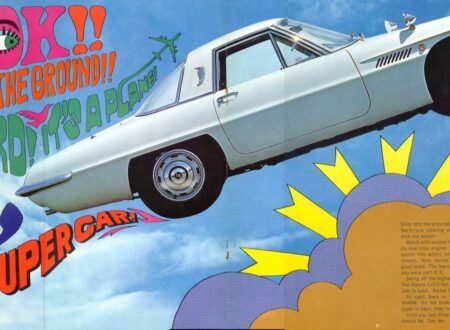 In 1977 the frame was again revised to a fully boxed type and then in 1979 the standard engine became the 258 cu. in. (4.2 liter) in-line six cylinder with a twin barrel Carter carburetor. The engine changed again in 1980 with the Jeep being fitted with a GM “Iron Duke” inline four cylinder engine which was branded as a “Hurricane” engine mated to a four speed close ratio gearbox. To cope with these more powerful engines the drive train was also beefed up including the front axle becoming a fully-floating Dana 30. One result of the new Dana 30 was the reduction of the car’s turning circle by six feet. The CJ5 was sold in a significant number of special package editions such as the Renegade, Super Jeep, Golden Eagle and Silver Anniversary. The “Tuxedo Park” series ultimately became a series of its own as the CJ5A and CJ6A. 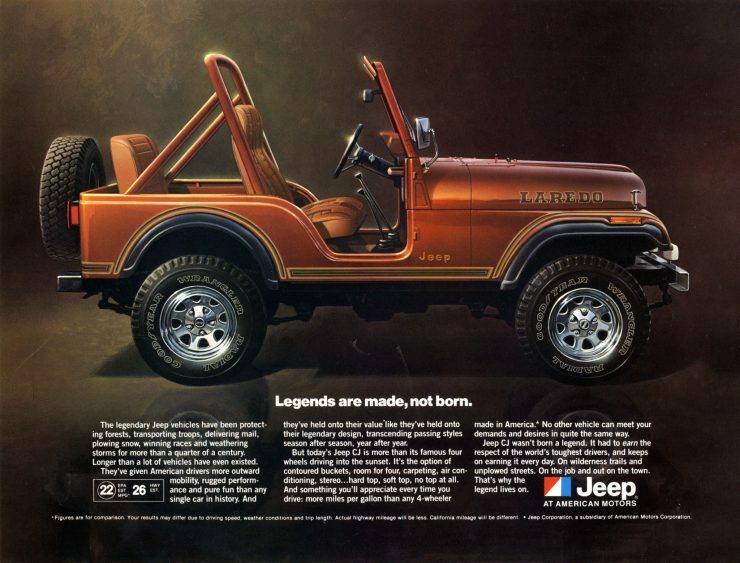 Production of the CJ5 and CJ6 ended in 1983. Introduced in 1976, the Jeep CJ7 was acknowledged by the factory as the last of the line that began with the World War II Jeep. The CJ7 was a model that was modified for improved stability, and that was made with side cut-outs designed for the fitting of real steel doors. The CJ7 was made with the automatic Quadra-Trac all wheel drive system as well as a part time two speed transfer case and so customers had the option of manual or fully automatic transmissions. Engine choices were a 150 cu. in. (2.46 liter) inline four cylinder, a 258 cu. in. (4.2 liter) inline six cylinder, a 304 cu. in. (5 liter) V8, or a 145 cu. in. 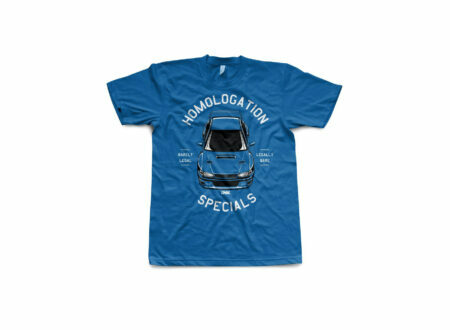 (2.4 liter) inline four cylinder diesel. For export only an additional option was an Isuzu C240 diesel engine. The CJ7 was made in a number of trim packages including Renegade, Golden Eagle, Golden Hawk, Laredo, Limited, and the Jamboree Commemorative Edition made for the 30th Anniversary of the Rubicon Trail. This last special edition was the most heavily optioned Jeep ever built. These last Jeeps feature a dashboard plaque that reads “Last of a Great Breed – This collectors-edition CJ ends an era that began with the legendary Jeep of World War II”. The CJ8 was the Jeep owned by American President Ronald Reagan. It was best known as the Jeep Scrambler and it was a long wheelbase version based on the CJ7. The CJ8 was sold between 1981-1986 and had a wheelbase of 103.5″. The Jeep Scrambler’s cab was removable and the rear section was not a flat bed, but a utility style box. The vehicle was offered with four or five speed manual transmission or three speed automatic. They used a standard transfer case with front locking hubs. The very last Jeep to wear the CJ name was the CJ10 which was only made for export, particularly for export to Australia. 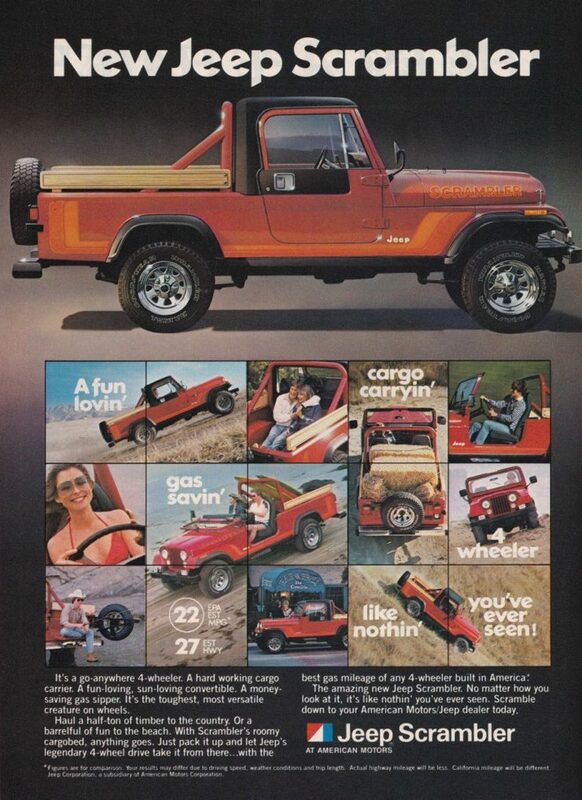 This model was a pickup truck made from 1981-1985 and was based on the Jeep J10 pickup truck. So in a sense these were not descendants of the original Jeeps at all but are only included here because they are the last of the vehicles to bear the Jeep CJ name. Engines were a 198 cu. in. (3.2 liter) inline six cylinder Nissan diesel, a 151 cu. in. (2.5 liter) inline four cylinder AMC engine, or a 258 cu. in. (4.2 liter) six-cylinder AMC unit. The humble Willys Jeep started a revolution from which the world has never quite recovered. In its part in revolutionizing modern warfare the Jeep provided battlefield mobility far beyond what had been possible in the First World War. Amongst the Jeeps many users were ambulance services and Special Operations soldiers for whom the ability to move quickly in inhospitable terrain provided great advantages. The Jeep’s flat hood/bonnet was multi-purpose serving as a map table or even temporary operating table: and it proved to be a good place to carry extra fuel cans. Moving in civilian life the Jeep proved to be the next generation vehicle after the Ford Model T. Here was a vehicle that could go most places, that was reasonably economical to buy and to run, and that was able to be maintained and repaired by its owner. 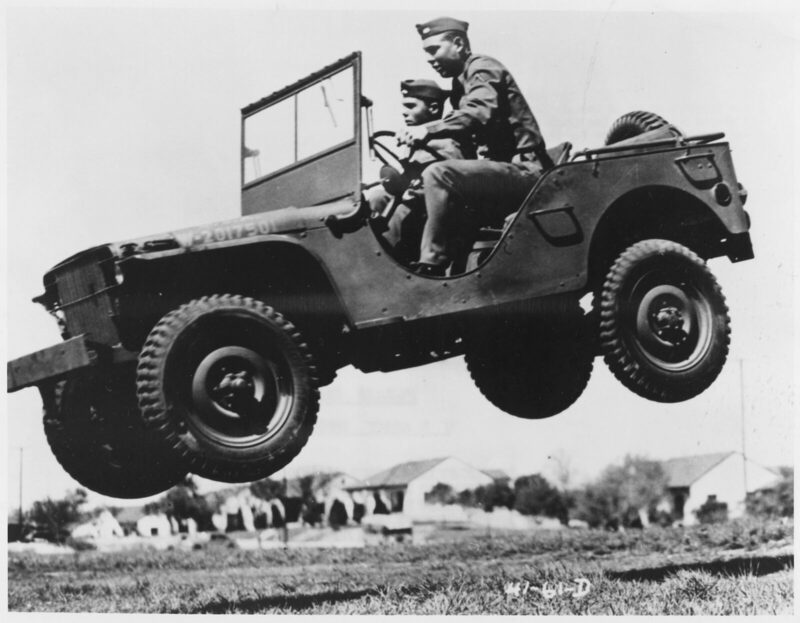 The Jeep was a great vehicle for the post World War 2 era, a practical vehicle for practical people. 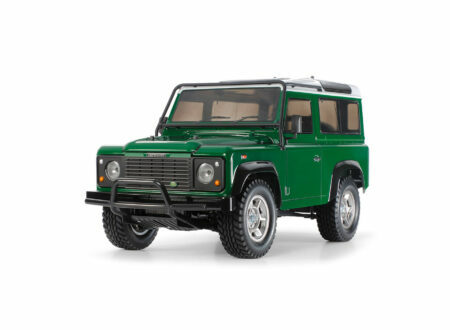 It was so practical that even the British emulated it in making their own “Land Rover“. The Jeep also reflects the changes in culture of the United States over the years of its production. It went from being a small utilitarian vehicle to being a V8 powered sports machine for a new generation raised in a nation that was mostly at peace, a nation whose young people had not faced two World Wars with a major economic depression sandwiched between them. If we compare the wartime Jeep with the CJ7 in its final iteration we see not only the development of a vehicle, but in it a reflection of the changes in the United States as a nation. 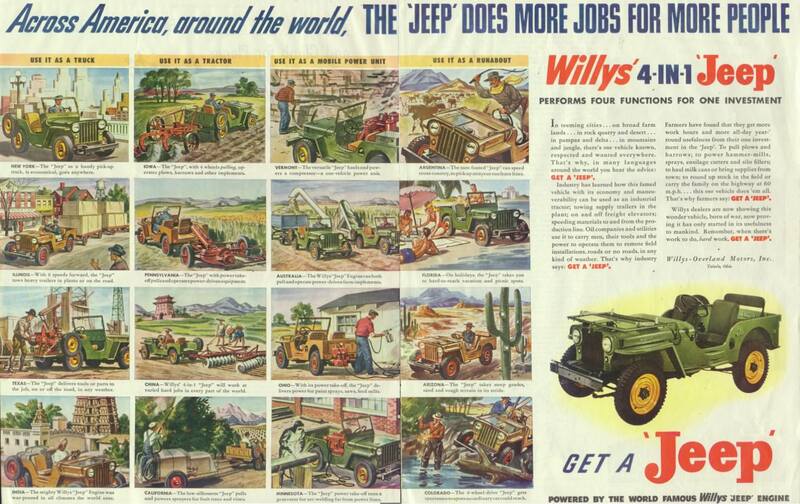 The Willys Jeep not only proved to be a cultural icon in the United States but also elsewhere. In the Philippines the “Jeepney” became the iconic mode of transportation for that nation and remains so to the present day. Despite the fact that the world has moved on the Willys Jeep has successfully carved out for itself a place in history. It has saved lives, saved farms, and helped save the free world from totalitarianism. That’s a pretty impressive set of achievements for a small 4×4 without a roof. Photo Credits: US Army, British Army, Willys, Kaiser, AMC, Bonhams, RM Sotheby’s, Land Rover.